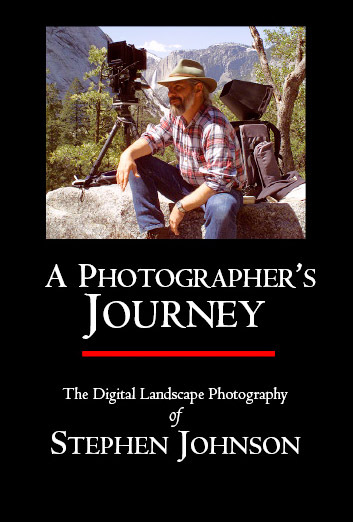 "A Photographer's Journey" is an 8 minute mini-documentary on landscape photographer Stephen Johnson's ground-breaking all digital photography in America's National Parks, With a New Eye. 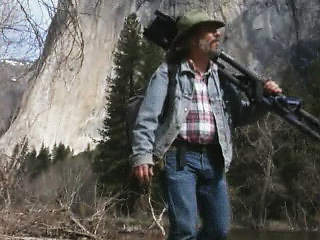 Produced as a promotional piece for Apple PowerBooks, the video follows Johnson around Yosemite Valley for two days of talking about his work, wandering through the valley and making photographs. A CD-ROM was distributed containing the video and information regarding other exhibitors at the Adobe/Apple Digital Darkroom booth during MacWorld NYC 1998. A DVD copy of the video is available from Stephen Johnson Photography. Order DVD of the video. $20 plus $7 shipping and handling. Apple Computer Digital Darkroom at MacWorld New York 1998. Text and Photographs Copyright ©1998 by Stephen Johnson. All Rights Reserved worldwide.